How European do people feel in Las Palmas, Porto, Helsinki or Sankt Peterburg? How do the AEGEE antennae in these cities cope with the fact that they living on the edge of Europe? The Golden Times asked eight antennae what the biggest problems are for them which are resulting from the geographical position – and whether there are also benefits. In the first part of the series “Living on the edge of Europe”, Kamal Vasnani, Rocío Gragera, Carmen Martín, Héktor Oliva and Esperanza Rodríguez from AEGEE-Las Palmas report from the biggest city on the Canary Islands. Golden Times: Let’s start with the basics: how many members do you have? And when was your antenna founded? AEGEE-Las Palmas: Currently, our antenna has 51 members, from whom about 10 are more or less active. 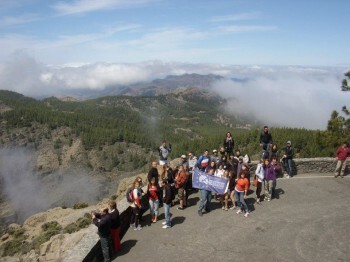 AEGEE-Las Palmas was founded in 1991, but stopped its activities in 2000, due to lack of members. In 2007, it was re-founded, and it signed the Convention d’adhesion in Spring Agora 2008 in Ljubljana. Golden Times: How European-minded are normal people and students in your city? AEGEE-Las Palmas: To give a honest answer, not very much. “Europe” seems to be quite an abstract concept for most people. 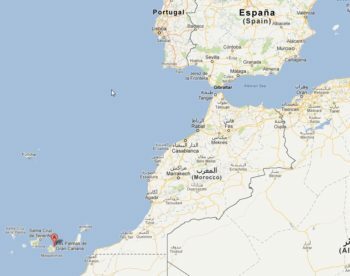 Even if they relate to it because of the Euro or the CAP, EU funding which Spain has been receiving for many years, the geographical distance of 1200 kilometers from the continent makes it look like something which is quite distant or different, even though this may not be totally the case. Golden Times: Is it hard to find members? 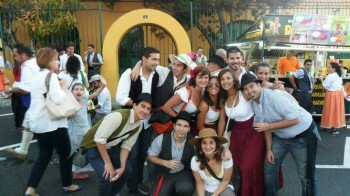 AEGEE-Las Palmas: Yes, it is quite hard to find new members, especially members who are then active at the local level. We always get one or two dozen new people for the SU campaign, but most of them disappear after coming back from the SU. AEGEE-Las Palmas: It is true that we are far away from continental Europe, but that is not anything new for us. The idea of distance is inside our islanders’ minds since we are born, that is why we are already adapted to it. We know that we cannot travel to continental Europe by car or by train. We have to take a plane. You can reach the Spanish mainland by boat, but it takes too long, so we directly connect the idea of travelling with the idea of airport and plane. Golden Times: So it is hard to convince them to travel? 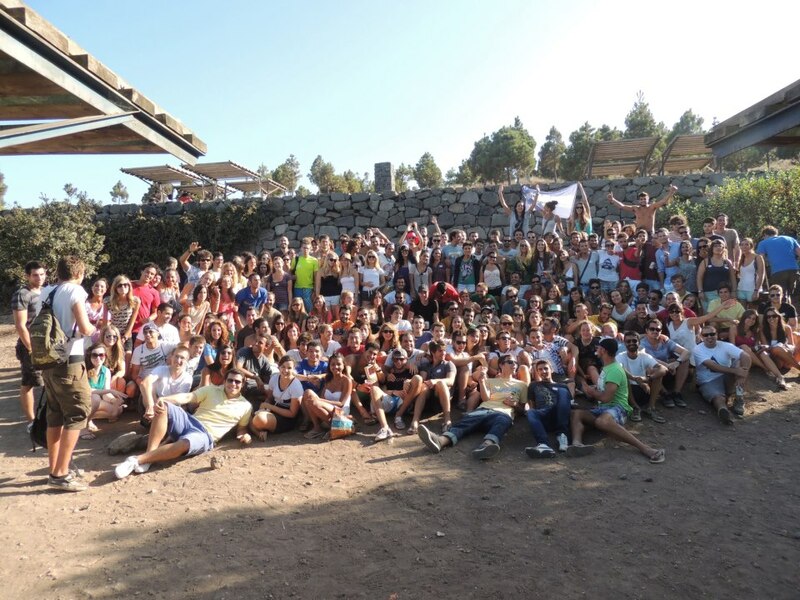 AEGEE-Las Palmas: We do not have to convince anyone to travel. Being far away is a handicap just up to a certain point. Those who are motivated to travel will do it anyway, and those who do not want would probably not do it even if they lived in the mainland. We are one of the most touristic areas in Europe, which means we are well connected with the main cities of the continent: direct flights, competition which pushes prices down, flexible schedules and more. So according to that, being exotic and far away is an advantage. Beside this, we have direct flights all-year-round to almost every medium and big city in United Kingdom and Germany, and during winter season, to the Nordic countries too. AEGEE-Las Palmas: Furthermore, you must know that, due to our peripheral condition, we pay 50 per cent less fare for tickets from and to any airport in mainland Spain. We can reach Madrid and Barcelona for quite low prices, in some cases we even pay less to reach those cities by flying than other Spaniards who live in the mainland by bus, train or car. To conclude, we do not have to extra-motivate our potential members. They already know how the situation is, what are the problems and which the solutions. Golden Times: Are there also positive aspects from your geographical location? If yes, which ones? AEGEE-Las Palmas: The word “island” itself sounds exotic for those living in the mainland. And if you add open Atlantic Ocean, mild temperatures all year long, amazing flora and fauna, then it sounds even more attractive. Both main cities of the Canary Islands have an important harbour. Containers are not the only valuables that have entered for centuries trough these harbours, also people. This fact has made the character of the Canary Islanders to be open-minded and tolerant. Also the fact of being a touristic region has made possible that locals get to know people coming from all over the world. Our geographical situation is also remarkable. 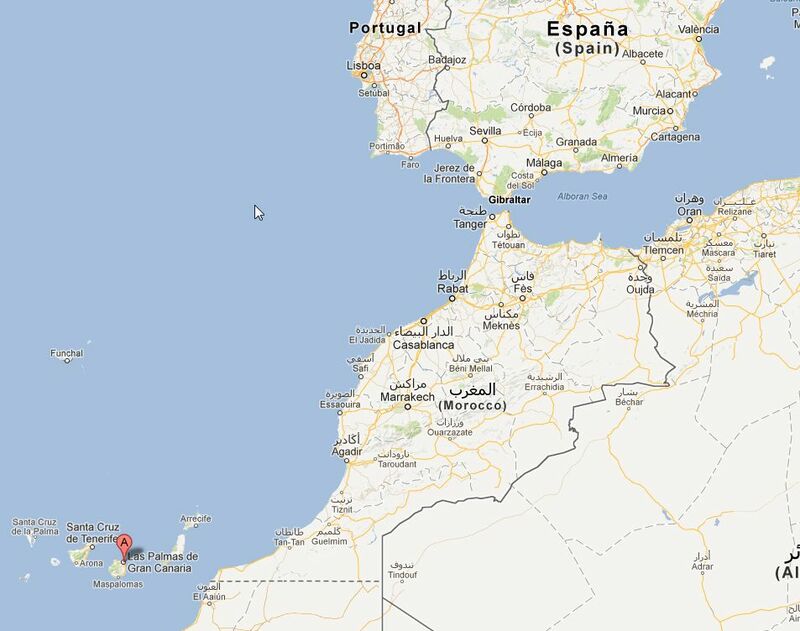 The Canary Islands are a connection point for three continents: Europe, Africa and America. Among our people you can find almost every nationality in the world. Locals and foreigners live together and no significant xenophobic acts have ever raised up. Golden Times: How much does travelling cost to Central European locations, such as Munich or Vienna? AEGEE-Las Palmas: From 200 to 400 Euro, it depends on which company you choose, and also if you mean only one way or round trip. As you may know, it also depends on the dates and what city you want to go exactly. Also, it may be cheaper, although longer, to fly with a stop-over in Madrid or Barcelona. Golden Times: Roughly how many foreign members are attending your events year year? AEGEE-Las Palmas: Well, if we are talking about our European events, around 65. For the past years we have been organizing two events per year: a TSU with around 40 participants and another event like YiA exchange or a training with around 25 to 30 participants. In all of them, we barely had any other Spanish participants, but all foreigners. Golden Times: Did you cooperate in 2012 with other antennae? AEGEE-Las Palmas: During 2012 we signed many part 3 for different YiA events with other antennae. We also kept in contact with AEGEE-Yerevan, AEGEE-Peiraias and AEGEE-Riga, as a follow-up of the exchange project that we organised in December 2011, and we also included Prague. During the summer, we organised a TSU with Lanzarote and The ARC training, in cooperation with the Academy and other antennae, like AEGEE-Aachen and AEGEE-Praha. Golden Times: Excellent! Will you continue these kind of cooperations in 2013? AEGEE-Las Palmas: For 2013 we are in contact with AEGEE-Barcelona, with the idea of organising a TSU together. We also received some requests for exchanges, but we don’t have so many active members living in Las Palmas right now and we want to take it easy. 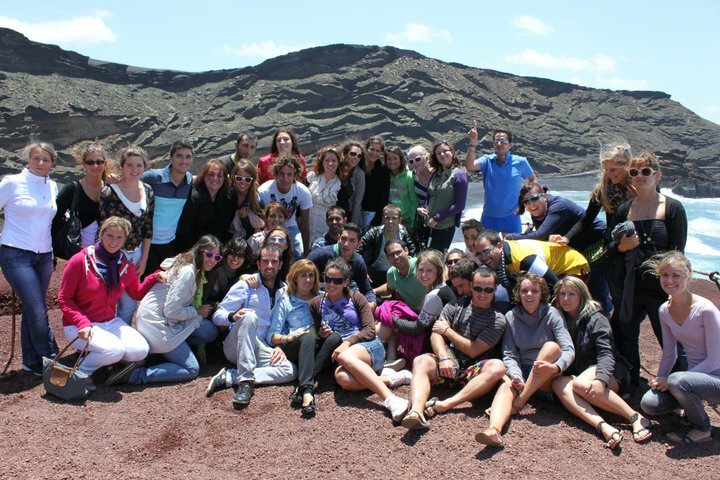 We also want to organize a Regional Training Course with AEGEE-Lanzarote and AEGEE-Tenerife. In general, we never stop the contact with other antennae. In our region, we usually cooperate a lot to help each other, we try to send members to Network Meetings and other statutory events, we try to reply to any request that we receive from others and we keep in touch with our former twin, AEGEE-Riga! Golden Times: In general, which international events are you planning for 2013? 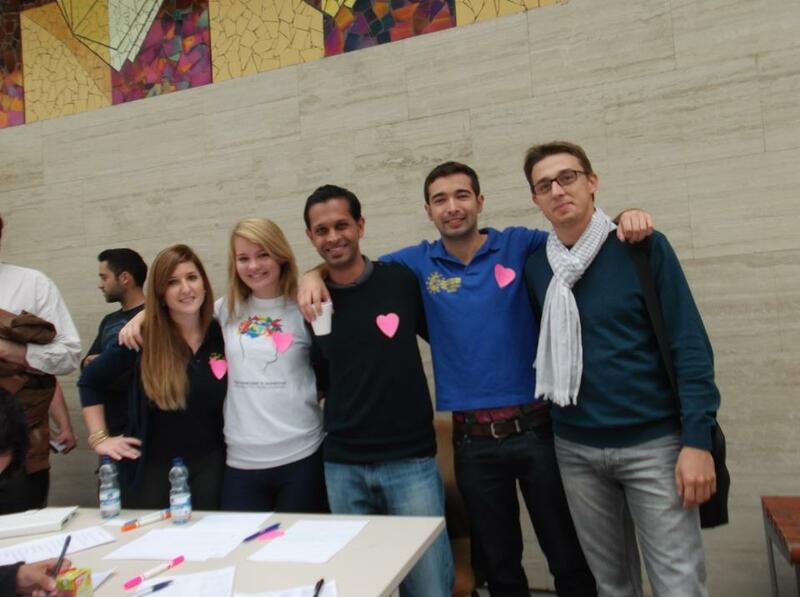 AEGEE-Las Palmas: Throughout the current year 2013, we will hold three international events. Even if the figure does not sound too promising; the reason is that these three events are meant to be pretty ambitious. Firstly, we will organize AEGEE-Las Palmas re-foundation’s 5th anniversary, where we intend to hold a series of activities, a commemorative conference and a ball. Then, of course, summer will come together with our always-sought-after TSU, this time in cooperation with AEGEE-Barcelona. This year’s crowning jewel will be our EuroArab Case Study Trip, next December. We are really eager to organise this CST, but if we do not get any grants in the end, we will try to organise it in 2014. Apart from these international events, we will organise an RTC and plenty of local activities both for local and exchange students. Golden Times: Do you sometimes wish your antenna was more central or do you enjoy being at the edge of Europe? Or do you also enjoy it? AEGEE-Las Palmas: Of course, our ultra-peripheral location entails a series of disadvantages when it comes to reaching Central or Eastern Europe. Above all for statutory events; we always have difficulties on finding suitable members willing to pay such high prices for the tickets for such a short period. Otherwise, we really enjoy our unique climate, people’s character, colorful traditions, breathtaking landscapes, mixed culture, music and gastronomy and everything else which our strategic geographical location has made possible.